Anyone who loves cooking would be thrilled to receive a cookbook about the science of good home cooking, the whys and hows of cooking a tasty dish. This cookbook would make an excellent housewarming gift for your passionate gourmet chef friend. 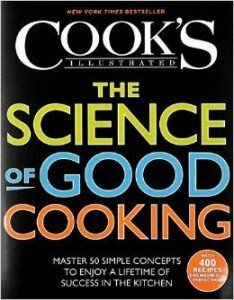 This cookbook explains 50 basic cooking concepts and what is the science behind them. Why does gentle heat retains moisture, what is the science behind salty marinades work best or starch helps cheese melt nicely? 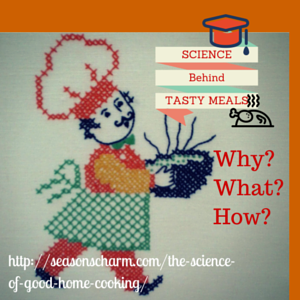 The cookbook explains theses scientific reasons by doing some fun experiments. This makes for an interesting read. Included are also 400 classic Cooks Illustrated popular home recipes. Understanding why certain things are done to produce certain desired results will certainly make cooking more enjoyable and rewarding. You get to understand why some foods are best cooked in a certain way and what techniques to use for the best results. Even the way to cut food has a scientific explanation behind it. You will cook better dishes once you understand why you have to do certain things such as adding fat to eggs for the perfect omelet. You know slow heating makes meat tender but do you know the reason behind it? The science of good home cooking cookbook is certainly going to be treasured by the avid cook and makes for a very meaningful housewarming gift.